Fig. 4. (A) The stereotactic head ring hangs below the head via carbon fiber posts, which produce no artifact on CT scan. Local anesthetic is injected through each of the post holes. (B) These pins are used to secure the ring to the skull. The metal tips are composed of aluminum, which produces minimal artifact on CT. The techniques for optimal head ring application for radiosurgery are no different from those for other target lesions and are described in detail elsewhere (24). In general, patients 13 yr and older are able to tolerate head ring application under local anesthesia. We usually premedicate with oral Valium. Those younger are treated under general anesthesia. The head ring must be applied such that the metal ring falls below the plane of the target. In general, if the top of the head ring is below the external auditory canal, the entire head can be imaged. Most stereotactic frames are anchored to the skull with metal-tipped pins. It is important that these pins have tips that will not produce artifact on computer tomography (CT) scan (aluminum or ceramic vs steel; Fig. 4). Obviously caution must be utilized to avoid placing one of the pins over a previous craniotomy, burr hole, or shunt. In general, head ring application takes about 5 min. The most problematic aspect of arteriovenous malformation (AVM) radio-surgery is target identification. In some series targeting error is listed as the most frequent cause of radiosurgical failure (25,26). The problem lies with imaging. Although angiography very effectively defines blood flow (feeding arteries, nidus, and draining veins), it does so in only two dimensions. Using the 2D data from stereotactic angiography to represent the 3D target results in significant errors of both overestimation and underestimation of AVM nidus dimensions (27-29). Underestimation of the nidus size may result in treatment failure, whereas overestimation results in the inclusion of normal brain within the treatment volume. This can cause radiation damage to normal brain, which—when affecting an eloquent area—may result in a neurological deficit. To avoid such targeting errors, a true 3D image database is required. Both contrast-enhanced CT and magnetic resonance imaging (MRI) are commonly used for this purpose. Diagnostic (nonstereotactic) angiography is used to characterize the AVM, but because of its inherent inadequacies as a treatment-planning database, stereotactic angiography has been largely abandoned at our institution. We use contrast-enhanced, stereotactic CT as a targeting image database for the vast majority of AVMs. 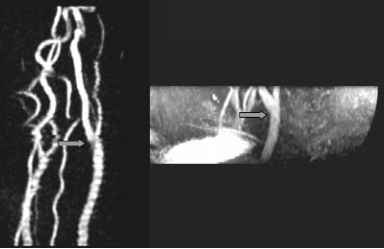 Our CT technique employs rapid infusion (1 mL/s) of contrast while scanning through the AVM nidus with 1-mm slices. The head ring is bolted to a bracket at the head of the CT table, ensuring that the head/ring/ localizer complex remains immobile during the scan. This technique yields a very clear 3D picture of the nidus. Alternative approaches use MRI/magnetic resonance angiography (MRA), as opposed to CT. Attention to optimal image sequences in both CT and MRI is essential for effective AVM radiosurgical targeting. If a tumor is to be treated, the patient is sent to the radiology department for a volumetric MRI scan. The next morning, the patient arrives at 7:00 am. After head ring application, stereotactic CT scanning is performed. One-millimeter slices are obtained throughout the entire head. The stereotactic CT scan is transferred via Ethernet to the treatment-planning computer. 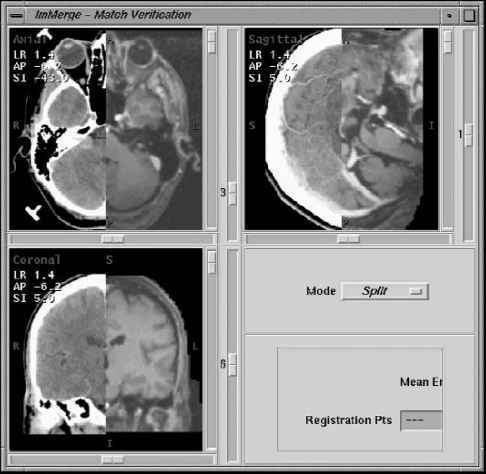 Image fusion technology is used to fuse the patient's stereotactic CT to the previously acquired MRI images (Fig. 5). 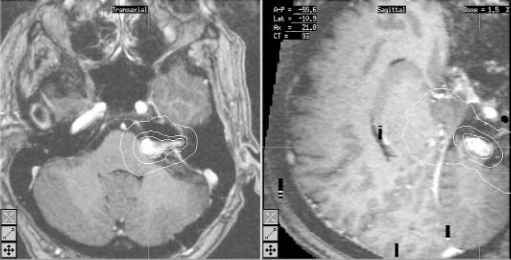 The primary goal of radiosurgery treatment planning is to develop a plan with a target volume that conforms closely to the surface of the target lesion, while maintaining a steep dose gradient (the rate of change in dose relative to position) away from the target surface in order to minimize the radiation dose to surrounding brain. A typical radiosurgical dose gradient will reduce the treatment dose to one-half the treatment dose over a 3-mm space. A number of treatment planning tools can be used to tailor the shape of the target volume to fit even highly irregular shapes (Fig. 6). Regardless of its shape, the entire lesion must lie within the target volume (the "prescription isodose shell"), with as little normal brain included as possible. The volumetric MRI obtained the day before treatment is used to generate a preplan. This plan can be generated manually or via a completely automated program (30) that will place multiple isocenters in such a way as to generate an optimally conformal prescription isodose line. The preplan is carefully examined and, if necessary, adjusted to generate the actual treatment plan. The technical methods of radiosurgery have been described at length in other publications (24). A detailed discussion of dose planning is beyond the scope of this chapter. Suffice it to say that the radiosurgical team must develop considerable expertise using the available tools (multiple isocenters, beam weighting, intensity modulation, and so on) to be able to efficiently develop highly conformal radio-surgical plans. Fig. 5. This computer screen illustrates the process of image fusion. The previously acquired MR image is fused to the stereotactic CT image. Basically, the two image sets are translated and rotated until a pixel-for-pixel match is achieved. This can be verified by "sliding" back and forth from the CT image on the left to the MR image on the right. The radiosurgical literature is replete with suggestions regarding appropriate peripheral doses for a variety of lesions. 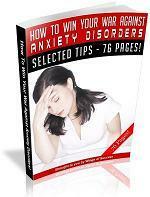 The reader is referred to the references for a detailed exploration of these issues. At the University of Florida, the following doses are generally felt to be "optimal." Fig. 6. Highly conformal dosimetry. An axial view of a vestibular schwannoma is shown with a six-isocenter treatment plan. The lines around the tumor, in centrifugal order, represent the 70, 35, and 14% isodose lines. The prescription dose is delivered to the 70% isodose shell, which has been constructed, using various computer dose-planning tools, to conform closely to the surface of the tumor. Note that the 35% isodose line (by definition, the boundary at which the radiation dose has fallen to half of the prescription dose) lies within millimeters of the tumor margin. This steep dose gradient allows a high dose of radiation to be delivered to the tumor, while exposing surrounding tissues to minimal radiation. The process of radiation delivery is the same for any radiosurgical target -careful attention to detail and the execution of various safety checks and redundancies are necessary to ensure that the prescribed treatment plan is accurately and safely delivered. When radiation delivery has been completed, the head ring is removed, the patient is observed for approx 30 min, and is then discharged to resume her/his normal activities. Standard follow-up after AVM radiosurgery typically consists of annual clinic visits with MRI/MRA to evaluate the effect of the procedure and monitor for neurological complications. If the patient's clinical status changes, she/he is followed more closely at clinically appropriate intervals. Each patient is scheduled to undergo cerebral angiography at 3 yr after radio-surgery, and a definitive assessment of the success or failure of treatment is made based on the results of angiography. If no flow is observed through the AVM nidus, the patient is pronounced cured and is discharged from follow-up. If the AVM nidus is incompletely obliterated, appropriate further therapy (most commonly repeat radiosurgery on the day of angiography) is prescribed, and the treatment/follow-up cycle is repeated. For benign tumors, yearly MRI scans and clinic evaluations are recommended. For malignant tumors, scans and exams are performed at 3-mo intervals.